Remember last week how I told you I was going to update my work-in-progress list and set a goal to finish as many projects on that list as possible? Well I just got the incentive I needed to forge ahead. Over at Sew BitterSweet Designs and Fiber of All Sorts they’re hosting the 2013 A Lovely Year of Finishes. To learn all the details and get yourself connected hop on over to either blog. No time to procrastinate though because the deadline to enter is TODAY! The first project I will be entering is my second Sandy Quilt. The quilt was just loaded on my long arm machine and is now waiting to be quilted. Once I have the quilting done it’s on to binding and labels. Woohoo! I’m so glad you are linking up with us! 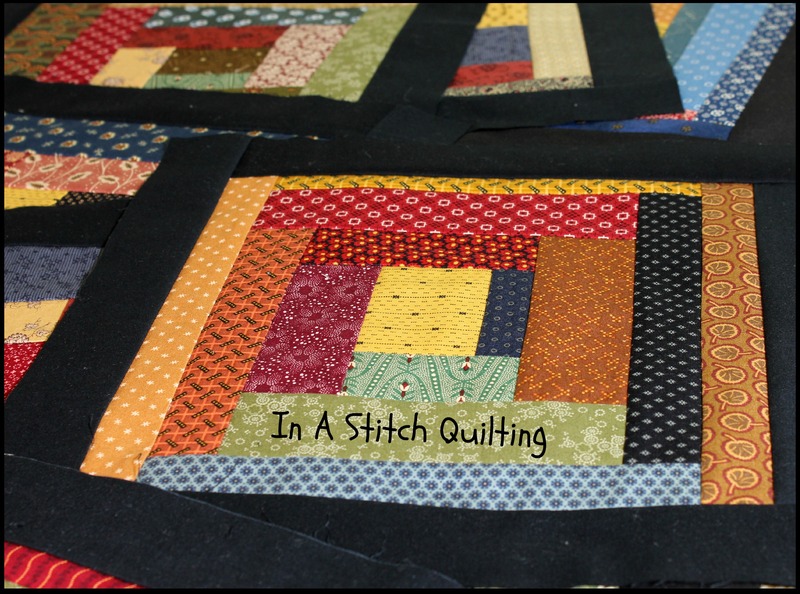 Good luck on your wonderful quilt! Your Sandy Quilt is wonderful to look at. Love the colors in this quilt. I too wanted to join the lovely year of finishes but with quilt alongs it’s not always possible. They require your project be done in one month. I look forward to your 12 projects. Perhaps next year you might be able to join in. Thank you so much for the very kind comments. Oh, very exciting! I can’t wait to see what 2013 has in store!